This is the site of a popular alternative to Buckroe Beach, which had opened as a whites-only facility in the 1880s. 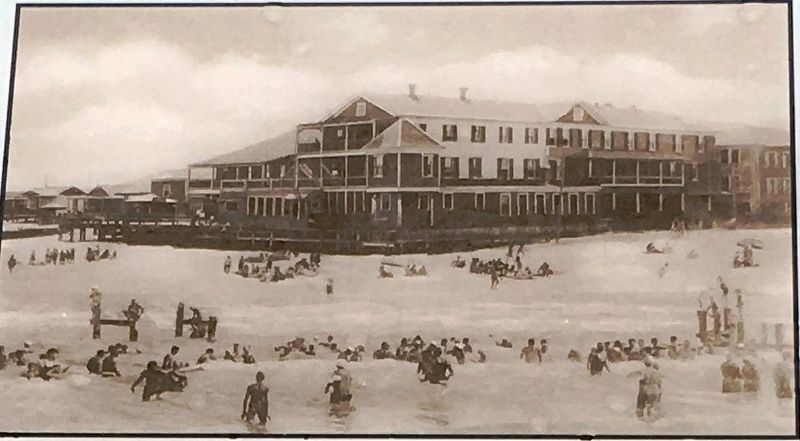 Desiring to have a vacation resort by the sea for their own people, a group of African American leaders in Hampton formed the Bay Shore Hotel Company in 1887, and the next year bought beach front land adjacent to Buckroe Beach, south of the fishing pier. The effort was led by Frank Banks of Hampton Institute. 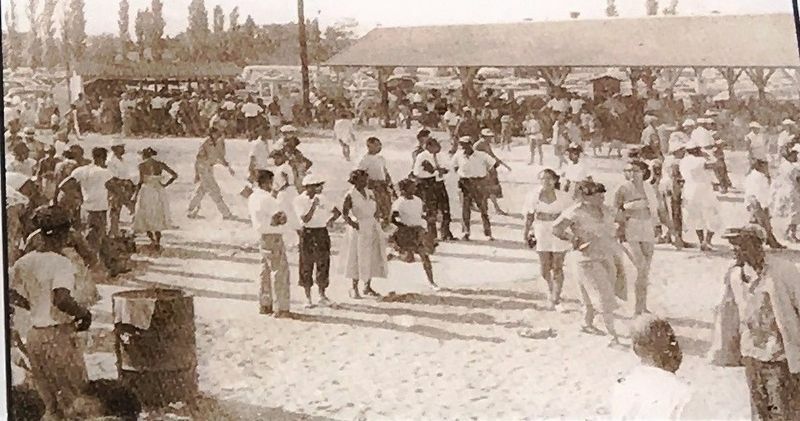 Bay Shore Beach and Resort, considered the first vacation spot for blacks in the South, attracted thousands of vacationers from the mid-Atlantic region, including many who came by excursion train from Richmond. There was an amusement park with rides like the “Dixie Flyer” rollercoaster and a carousel. the late 1960s. 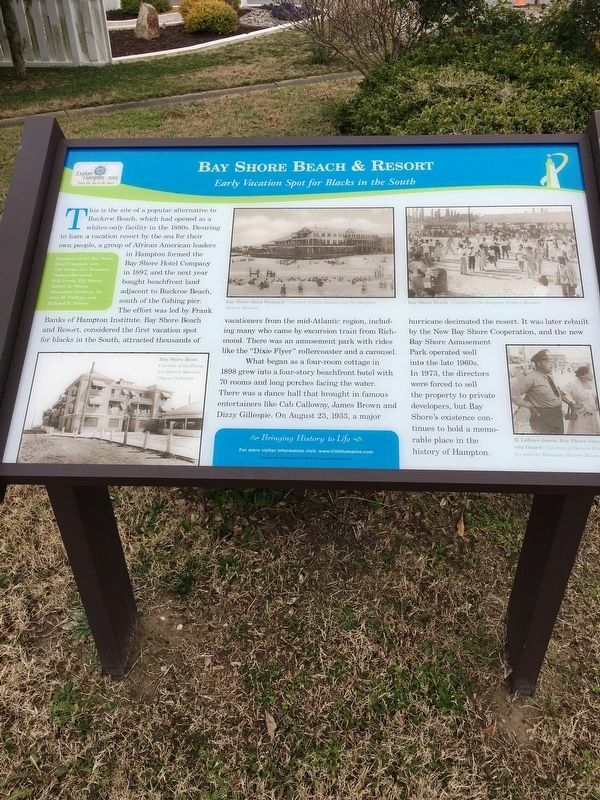 In 1973, the directors were forced to sell the property to private developers, but Bay Shore's existence continues to hold a memorable place in the history of Hampton. 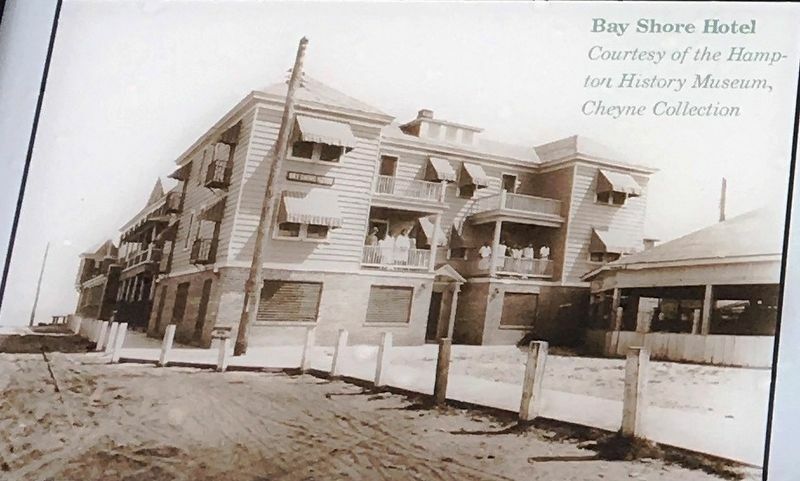 Members of the Bay Shore Hotel Company were J.H. 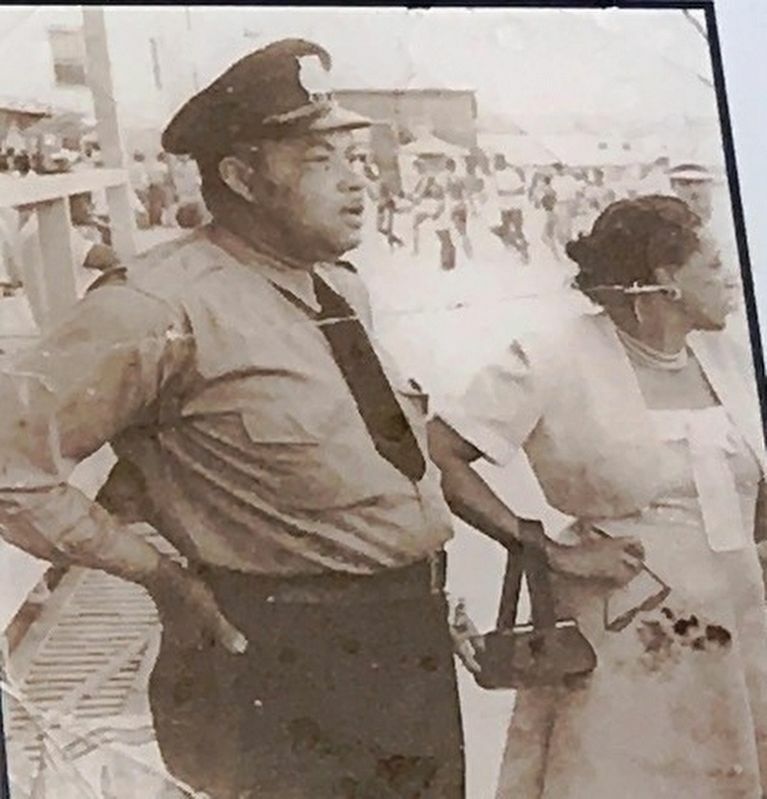 Evans, J.L. Fountain, Thomas Harmond D.R. Lewis, F.D. Banks, Robert R. Morton, Alexander Gardiner, Jr., John M. Phillips, and Richard R. Palmer. Erected by City of Hampton/Civil War Trails. Location. 37° 2.21′ N, 76° 17.568′ W. Marker is in Hampton, Virginia. Marker is on South Resort Boulevard 0.1 miles south of Point Comfort Avenue when traveling south. Touch for map. Located near the James T. Wilson Fishing Pier. Marker is at or near this postal address: 330 S Resort Blvd, Hampton VA 23664, United States of America. Touch for directions. Other nearby markers. At least 8 other markers are within 3 miles of this marker, measured as the crow flies. Bay Shore Hotel (here, next to this marker); Buckroe (approx. 0.3 miles away); Harbor Defense Regimental Distinctive Insignia (approx. 1.8 miles away); Phoebus - The Gateway To The New World (approx. 2 miles away); Saint Mary Star Of The Sea And Its School (approx. 2 miles away); Camp Hamilton (approx. 2.1 miles away); War of 1812 (approx. 2.1 miles away); Phoebus (approx. 2.1 miles away). 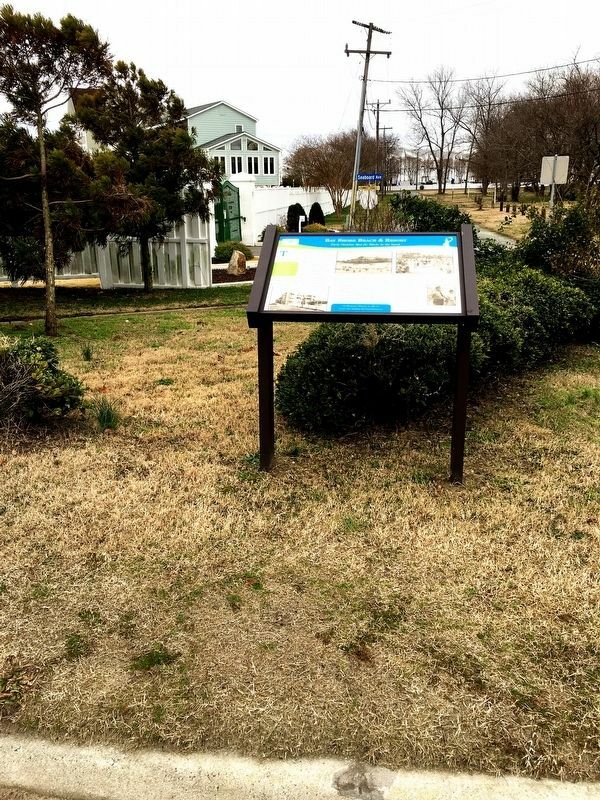 Touch for a list and map of all markers in Hampton. More. Search the internet for Bay Shore Beach & Resort. Credits. This page was last revised on April 3, 2019. This page originally submitted on April 3, 2019, by Brandon D Cross of Flagler Beach, Florida. This page has been viewed 49 times since then. Photos: 1, 2, 3, 4, 5, 6. submitted on April 3, 2019, by Brandon D Cross of Flagler Beach, Florida. • Bernard Fisher was the editor who published this page.